The Easy Rougher® is a carbide cutter woodturning tool that addresses fatigue, safety, and efficiency like no other type of tool on the market. 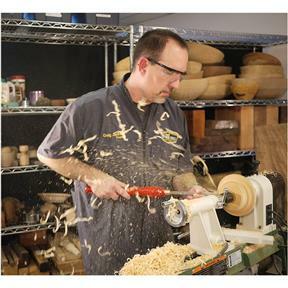 Designed to be kept flat on the tool rest and level to the floor, the Easy Rougher® will effortlessly hog away massive amounts of material for any woodturning process without the need for sharpening. 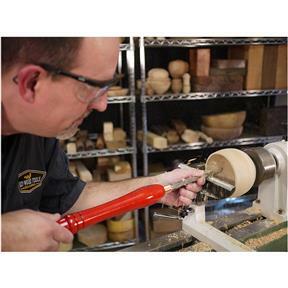 The tool design provides support directly beneath the cutting edge transferring the cutting pressure downward allowing the lathe to "take the pounding" that you would normally suffer through when using a conventional bowl gouge for roughing. 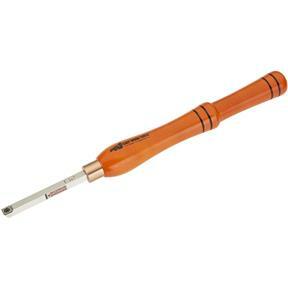 No more ‘white knuckling' a bowl gouge.